Biotronik has secured approval from the US Food and Drug Administration (FDA) for its Edora HF-T QP, a MR conditional quadripolar (QP) cardiac resynchronization therapy pacemaker (CRT-P). Claimed to be the smallest MR conditional CRT-P in the US, Edora HF-T QP features MRI AutoDetect technology, as well as closed loop stimulation (CLS) and the firm’s home monitoring capabilities. Biotronik’s home monitoring is said to be the only cardiac device remote monitoring system, which is clinically proved to enhance health outcomes in heart failure. The MRI AutoDetect technology will help to solve logistical programming challenges for physicians and health systems. It holds capacity to automatically recognize a patient who enters an MRI field and changes the device programming to MRI mode. 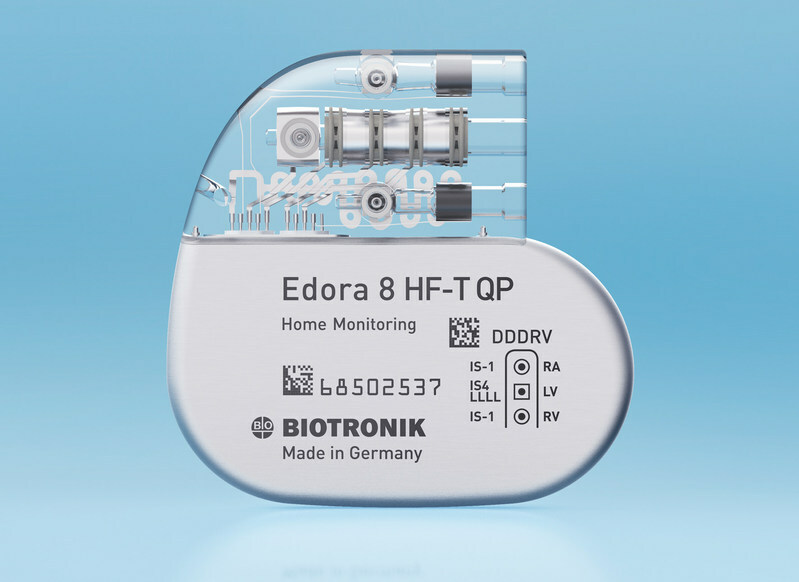 Biotronik president Marlou Janssen said: "With the launch of Edora HF-T QP, Biotronik offers a full suite of ProMRI products ensuring physicians can always choose MRI conditional devices for their patients. In June 2016, Biotronik introduced a new Solia S ProMRI conditional pacing lead in the US. With a 5.6 French lead body, Solia S ProMRI is available in 45cm, 53cm and 60cm lengths. The US Food and Drug Administration (FDA) approved Solia depending on data of the pre-market study (IDE) phase of the Siello clinical study. Image: Edora HF-T QP is the smallest MR conditional CRT-P in the US, with a volume of 15cc. Photo: courtesy of PRNewsFoto / BIOTRONIK.